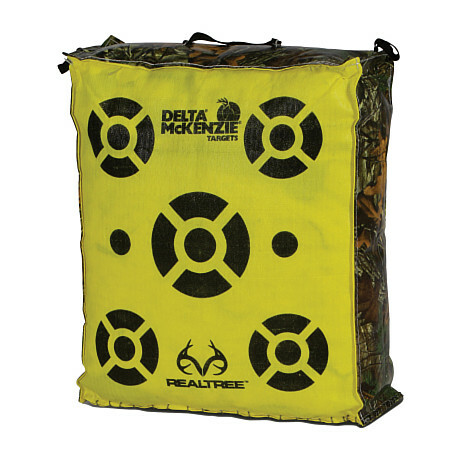 The Realtree® Bag Target from Delta® McKenzie targets is a brightly colored yellow bag with multiple shooting spots and Realtree Xtra® pattern on its sides. Field points only. Designed for bows up to 350 fps. Measures: 20''x 20''x 8''. Manufacturer model #: 20971.